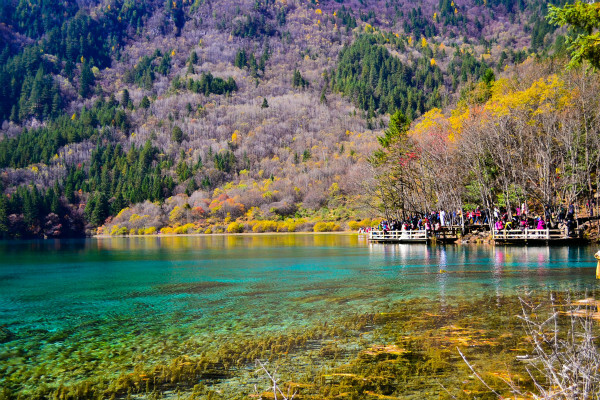 Jiuzhaigou National Park is a nature reserve in the north of Sichuan, a province in South West China. 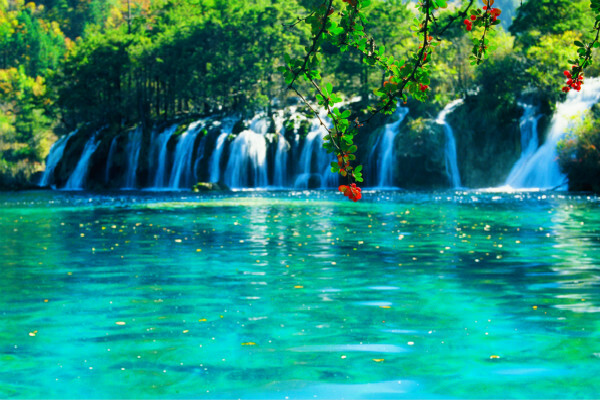 It is known for its many multi-level waterfalls and colorful lakes, and was declared a UNESCO World Heritage Site in 1992. It belongs to the category V (Protected Landscape) in the IUCN system of protected area categorization. 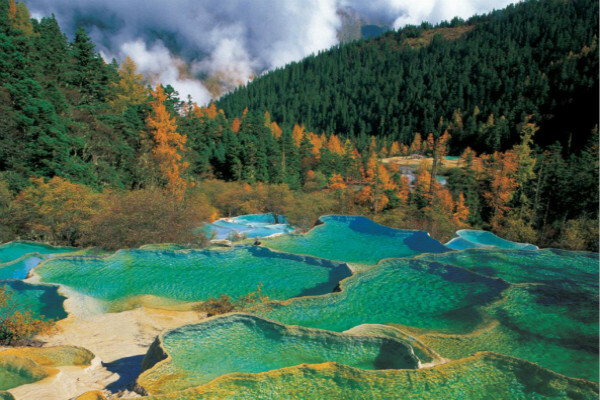 Known in English as Jiuzhai Valley it lies at the southern end of the Minshan mountain range, 330 km (205 mi) north of the provincial capital of Chengdu. It is part of the Jiuzhaigou County (formerly Nanping County) in the Aba Tibetan Qiang Autonomous Prefecture of northwestern Sichuan province, near the Gansu border. The valley covers 720 km2 (278 sq mi) with buffer zones covering an additional 600 km2 (232 sq mi). Its elevation, depending on the area considered, ranges from 1,998 to 2,140 m (at the mouth of Shuzheng Gully) to 4,558 - 4,764 m (on Mount Ganzigonggai at the top of Zechawa Gully). The climate is cool temperate with a mean annual temperature of 7.2 °C, with means of -1 °C in January and 17 °C in July. Total annual rainfall is 661 mm, 80% of which occurs between May and October. The remote region was inhabited by various Tibetan and Qiang peoples for centuries, but was not officially discovered by the government until 1972. Extensive logging took place until 1979, when the Chinese government banned such activity and made the area a national park in 1982. An Administration Bureau was established and the site officially opened to tourism in 1984; layout of facilities and regulations were completed in 1987. The UNESCO listed this site as a World Heritage Site in 1992 and a World Biosphere Reserve in 1997. Since opening, tourist activity has increased every year: from 5,000 in 1984 to 170,000 in 1991, 160,000 in 1995, to 200,000 in 1997, including about 3,000 foreigners. Visitors numbered 1,190,000 in 2002. As of 2004, the site averages 7,000 visits per day, with a quota of 12,000 being reportedly enforced during high season. The Town of Zhangzha at the exit of the valley and the nearby Songpan County features an ever-increasing number of hotels including several polished five-stars, such as Sheraton.